Lovely look! 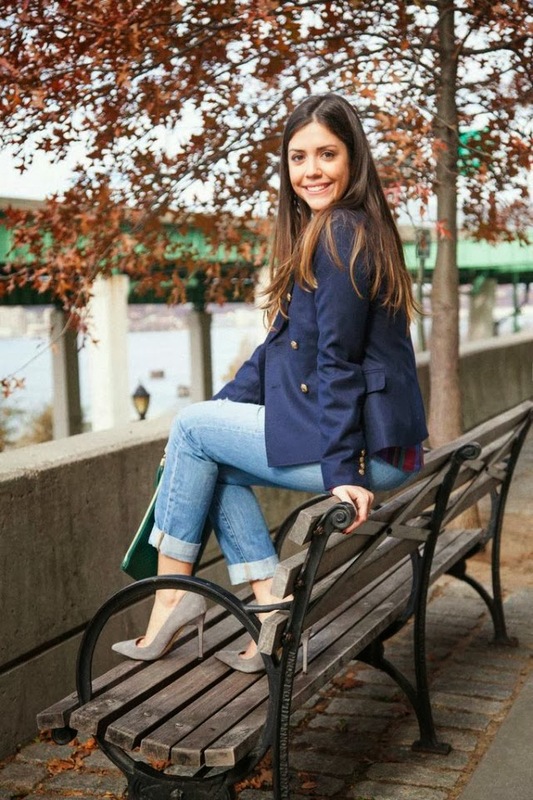 Those shoes are gorgeous and I love the navy jacket! You are seriously too adorable! I'm obsessed with that clutch–I don't think I have anything with my initials on it, and the emerald color is so so perfect for fall! those grey pumps are stunning! Love this look! 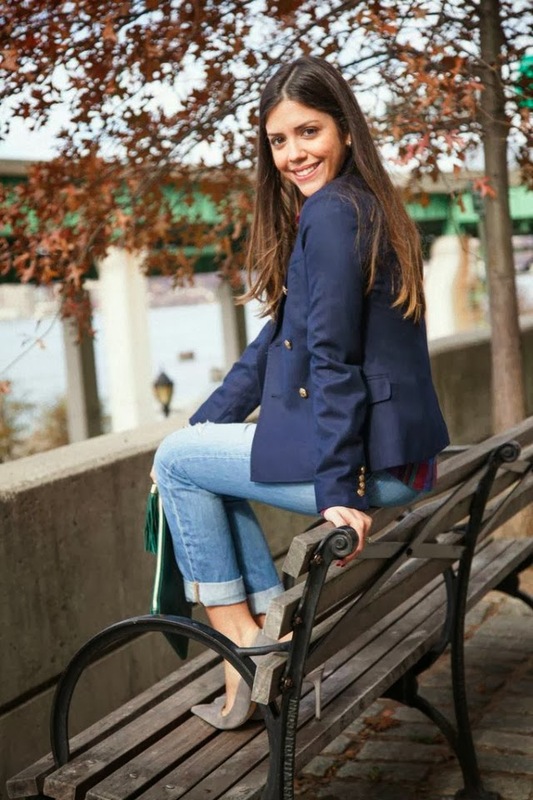 A navy blazer is classic and chic. Love the outfit and your pictures are so cute!! 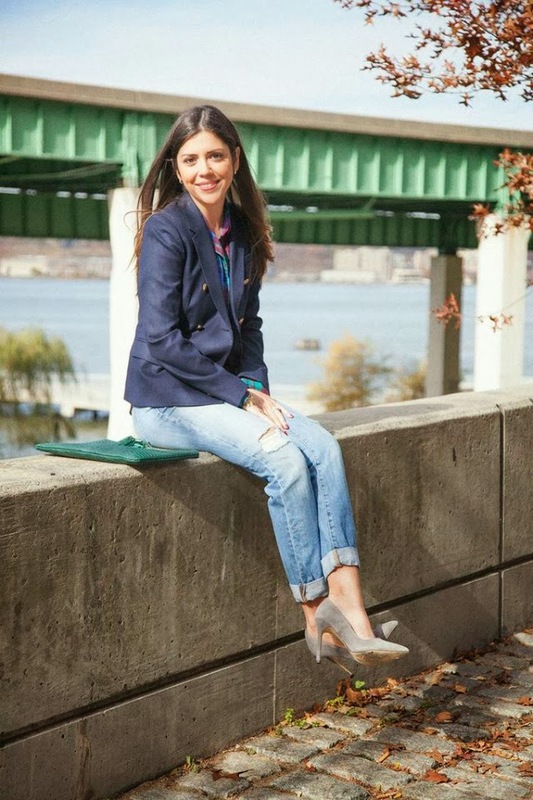 Loved the heels that you paired with this blazer! So sophisticated! So cute Viv. Love that color on you too! Perfect for fall. 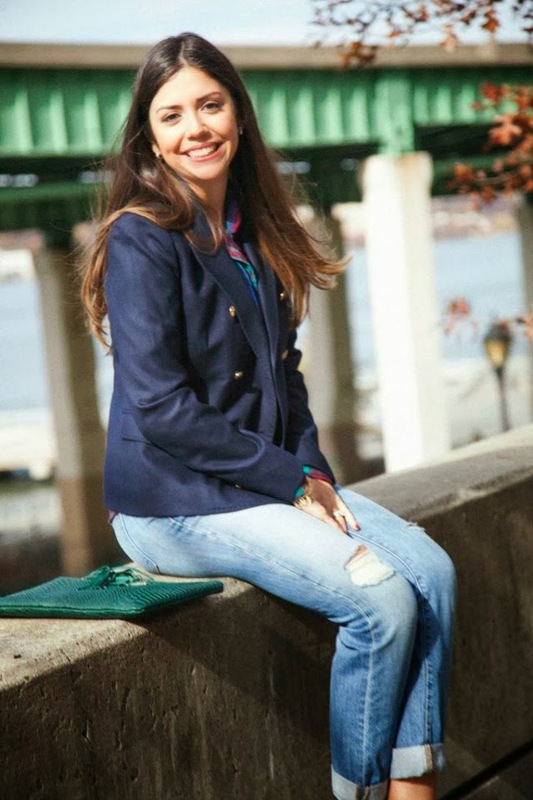 A navy blazer will always be classic esp. when mixed with this adorable clutch....& your smile is lovely!! !